With that warning out of the way, here's the story behind the recipe. The fifth Key West mystery (DEATH WITH ALL THE TRIMMINGS) features a New York chef who's just opened a restaurant in Key West. 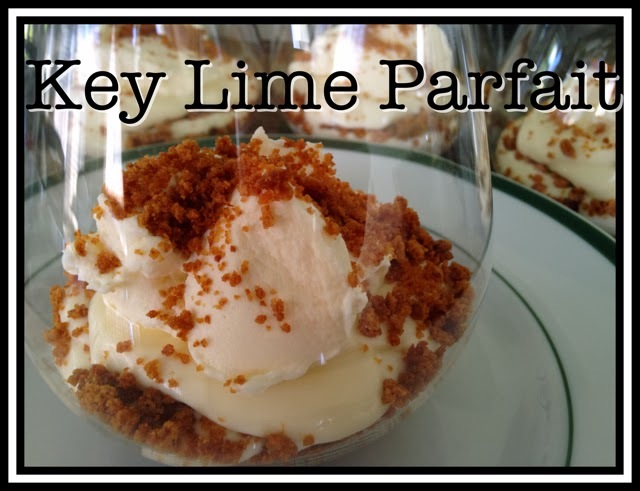 She wants her new menu to reflect some of the tastes and history of the island, and this key lime parfait is one of the desserts she offers. So of course I had to try making one, and this is the result. Mix the crumbs with the melted butter and brown sugar. Spread this on a foil-covered baking sheet and bake for ten minutes or until golden. Let this cool, then break into crumbs again. Meanwhile, whip the cream with the powdered sugar and vanilla. (I used my food processor, which was a snap.) Set half of this aside for the topping. 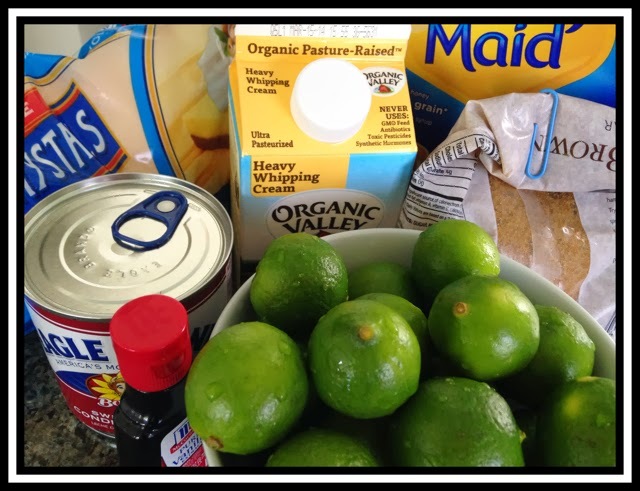 Mix the condensed milk with the lime juice. The citrus will cause the milk to thicken. Gently stir in one cup of whipped cream. Now comes the fun part, in which you layer the parts you've prepared. I chose wine snifters--next time I would try something taller and thinner, as these servings were BIG. 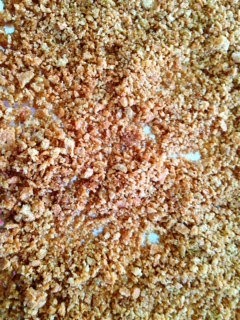 Layer in some of the baked crumbs, then some of the key lime mixture, and repeat. When you have distributed all the ingredients, top with dollops of whipped cream and sprinkle with more crumbs and some zested lime if you want a stronger flavor. And then lean back and enjoy the compliments! And the winner of Patricia Skalka's books DEATH AT GILLS ROCK and DEATH STALKS DOOR COUNTY is Margaret Turkevich. Please send your mailing address to hallie "at" hallieephron dot com. Congratulations! And come back tomorrow for another wonderful giveaway from Mary Kennedy! What a yummy-sounding parfait! Thanks for sharing the recipe. I've heard lots of hints about the best way to juice limes . . . I have a friend who always microwaves key limes for about 20 seconds, cuts them in half, and squeezes them in a garlic press . . . .
Lucy, I am so going to make these the next time there's a family gathering! They sound amazing! And, they're such a nice change of pace from pie or cake. Any advice on choosing limes at the grocery? Or do you just buy a bag of them? 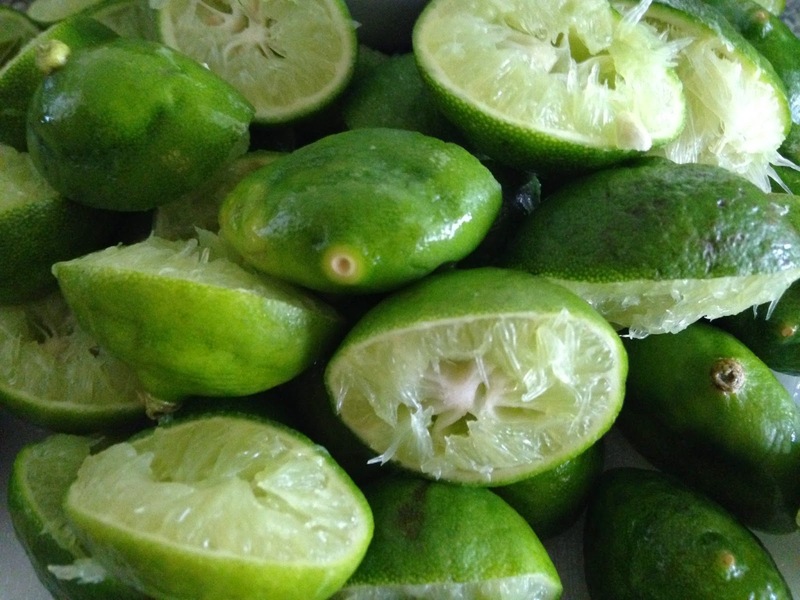 Since Joan mentioned a way she's heard of that's good for juicing the limes, has anyone else a tried and true method? Joan, that sounds like it's something worth trying next time. Sounds - and looks - awesome! I can't eat sugar and have to limit citrus but I really want this. Right now. For breakfast. Yumm! Mmmm, key lime pie for breakfast. Now there's an idea. Plenty of Vitamin C. Protein. Anyone know if it really makes a difference whether you use "Key limes" or regular (easier to juice) limes? I DO know that it makes a huge difference if you make your own crust rather than using a pre-made graham cracker crust. What a good tip, Joan! Thank you, thank you. I was trying to squeeze a lime last night to make guacamole to take over to a friend's and I was thinking, there has to be a better way. This counts as instant gratification, I'd say! Have not yet gotten Fatal Reservations, but it's on my list. Can't wait to read this one. ANd yes, there's a different in Lime and key limes--key limes are much smaller, right? But taste-wise? Why are they called KEY limes? I have an electric juicer--I think it's a Cuisinart--but honestly it's a pain in the bum. The only time I ever use it is making big batches of margaritas. What I do use is one of those hand citrus juicers. You've probably seen them in the store; they are usually yellow or green. So easy and quick to use! I usually cheat and buy a bottle of Key lime juice because I have a great juicer that's a pain to clean. This looks so delicious the calories came through my computer screen! So delicious. And it looks fairly doable aside from all the lime squeezing. Thanks. A zap in the microwave makes everything easier to juice, limes, lemons or oranges. Not too long though, or you will cook the fruit and it will explode! For three lemons I do it for about 30 seconds, less if you have a new and powerful microwave. I use a glass juicer that belonged to my mother, have one of those citrus presses somewhere in the basement, which is a p.o.a to use. Now I want a Key lime pie. I always thought those little limes came from the Florida Keys. But we have two quarts of strawberries, last of the season, so it it shortcake tonight. BTW, is anyone here is a reader of Proust, there is a new edition of IN SEARCH OF LOST TIME: SWANN'S WAY. And it is a graphic novel! I ordered it for Julie, and she is over the moon, great drawings and NOT a comic book at all. Cooks Illustrated, an excellent cooking magazine that doesn't take advertising, did a comparison between Key limes and the common Persian limes. 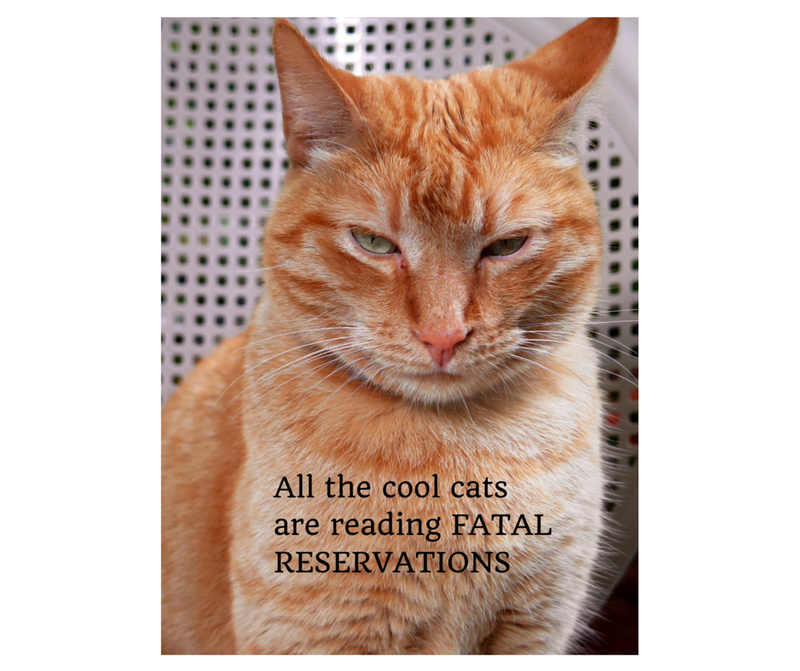 They didn't test them in cocktails, but they did compare them straight and in a Key lime bar desert recipe. 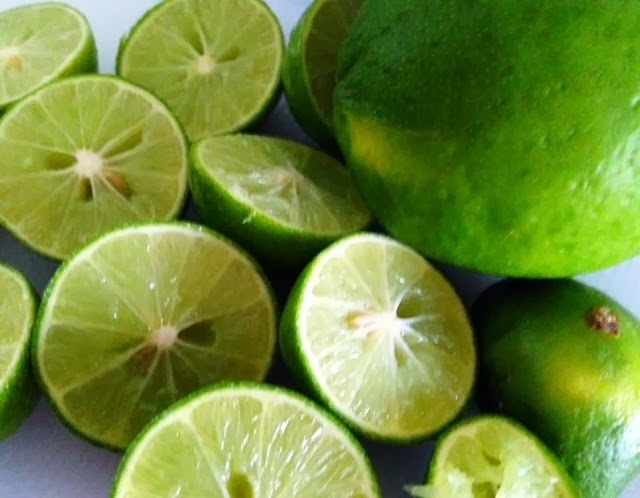 The results were that in straight tasting some tasters found that the Persian limes were slightly more tart, but in the desert there was no clear difference, except that they had to squeeze 20 Key limes vs. only 3 Persian limes to get the same quantity of juice! T\hat's one take on the question about lime types. Joan and Ann, that 's for microwave tip for juicing all fruits. And, Libby, thanks for the info on the different limes. Lucy, thank you for the recipe and for giving me something else to look for when I was in Pier 1 today, glasses good for parfaits.